Well, okay, it’s stretching things to say Nigel is a bestseller because Amazon have decided to make his story Waif free from amazon.com Don’t ask me why. 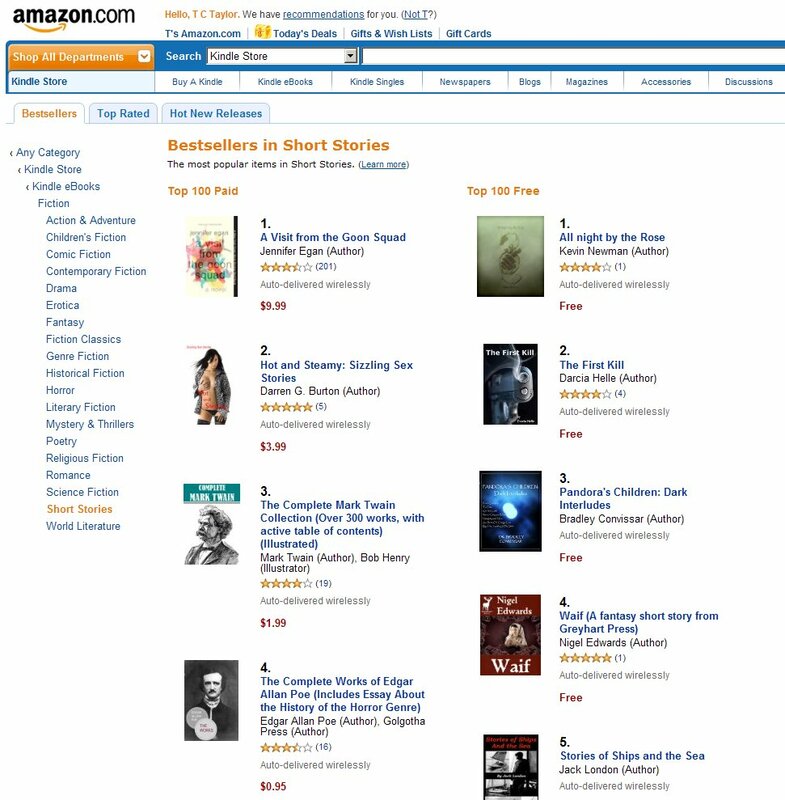 This has only happened in the past few days but for some reason readers are choosing Nigel’s story because when I looked just now it was at #4 in the short story chart and in the top#200 all Kindle books. This is well deserved. Nigel’s story is well written, even my father told me recently that it was cleverly done, and fantasy short stories are not his cup of tea.